It’s easy to overindulge during the holidays with tempting treats like eggnog, peppermint chocolates, and gingerbread. But these no-bake gingerbread balls are a surprisingly delicious way to enjoy the spiced flavor of gingerbread cookies without the guilt! With only 87 calories per serving, these treats will satisfy your sweet tooth and keep you off Santa’s naughty list. 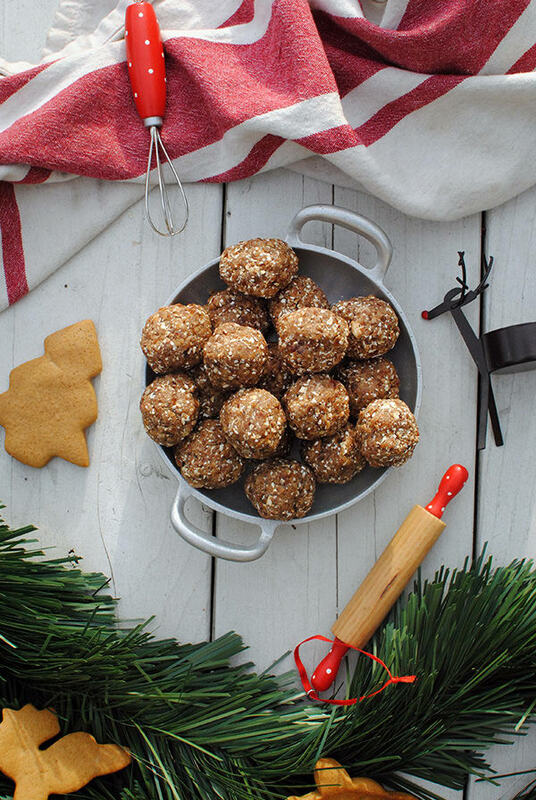 These gingerbread balls are a yummy holiday treat! Place almond flour, oats, Shakeology, cinnamon, ginger, and cloves in a food processor; pulse until mixture is the consistency of flour. Add half of dates; pulse until well blended. Add remaining dates; pulse until mixture forms a uniform dough. Shape dough into 12 walnut-sized balls; place in airtight container. Enjoy as an occasional treat. Be sure to track it.